NOTE – there are known problems with MIDI NoteOff on certain keyboards, and AudioBus when configured at 512 frames. Fixes for these have been with Apple SINCE AUGUST 30TH waiting for review – there seems to be an update logjam right now but we sincerely hope this new version will be with you inside a couple of days. The comments about banks not being saved – there is a SAVE BANK button that saves the bank. A light flashes to warn you if a bank has been edited, and thus should be saved if you wish to preserve the information. User manual will be published as an iBook within a few days. 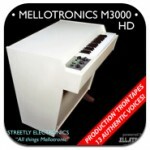 2013 marks the 50th anniversary of the shipment of the first production mellotron from Streetly Electronics’ factory in Birmingham, UK. 16 voices in total, 35 chromatic 8 second tapes per voice, almost 200MBytes of samples. All samples are original MKI, MKII and M400 voices from the production tape library of Streetly Electronics. 3 new unlooped voices – MKII Vibes, Rhodes and Piano. 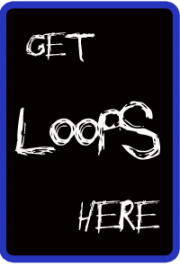 3 looping modes – unlooped (maximum authenticity), 5s loops (maximum playability) and 3s loops (very high fidelity, minimum memory footprint). Looped modes support 4 simultaneous voices – A/B/C continuous blend plus additional D voice on chord pads. 32 voicebanks each with 12 programmable chord pads. Core MIDI support for class-compliant USB interfaces. New synthesis engine with 44.1kHz playback supports mix of looped and unlooped sounds – e.g infinite violins plus decaying piano. Variable ‘Tape inching’ for authentic factory-style calibration of note attack. Tone control matched to M4000 analog tone. Hypnotic ‘Oscillotron’ waveform display, in soothing chill-out colour palette.